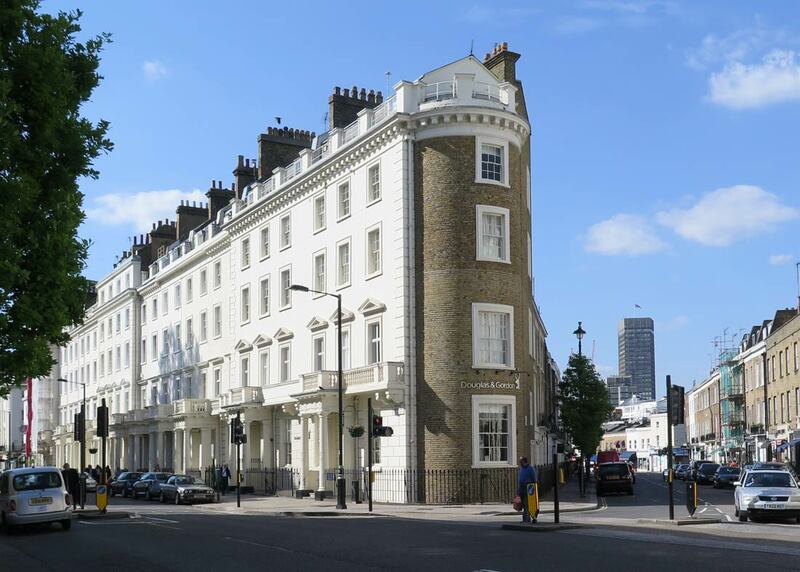 Direct commission from a private developer to form three new high-quality apartments from an existing office use in a pair of Grade II-listed 1840’s Cubitt stucco-fronted town houses in Pimlico, London. 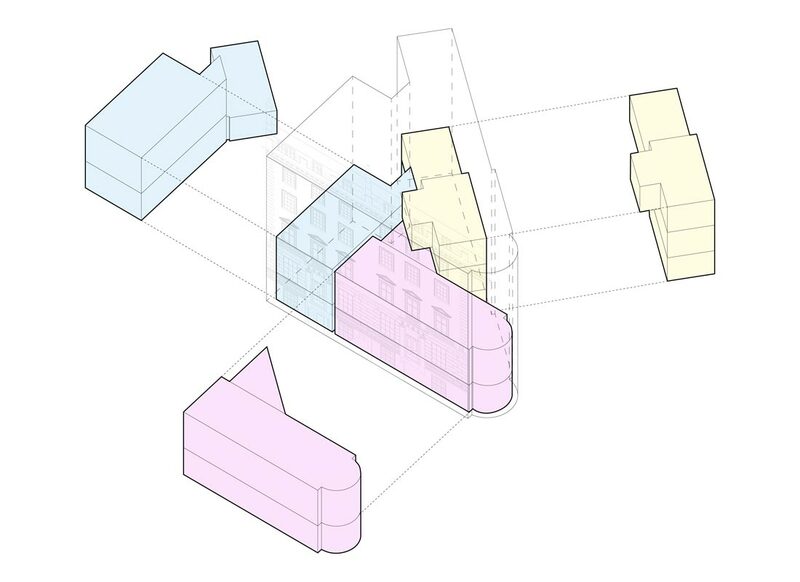 Three existing street-level doorways will be used to access the units which occupy the lower-ground, ground and part of the first floors of the prominent corner building. 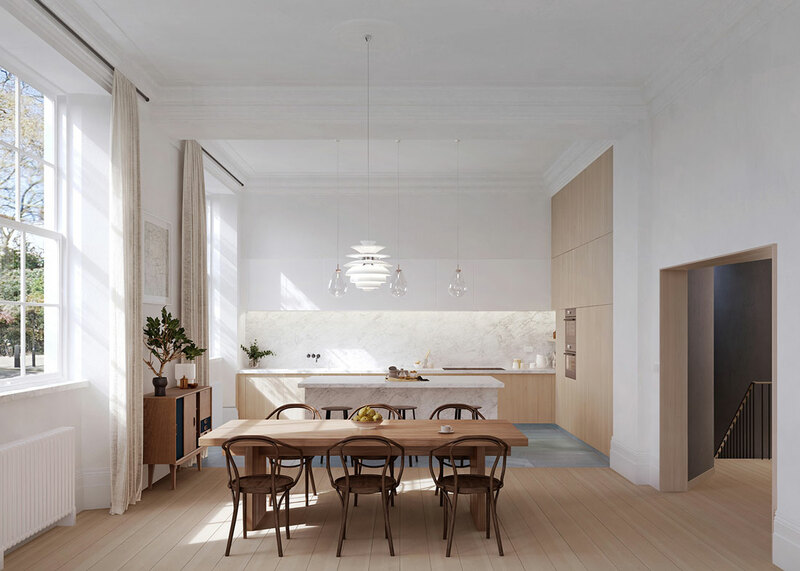 Ground floor spaces have amazing ceiling heights of over 4m and will be used as main living and entertaining spaces; the 2-3 generously sized bedrooms per unit will be located on the lower-ground floor. Overall the 475m² (5100ft²) internal area is divided into three units of 125-175m² (1340-1880ft²). 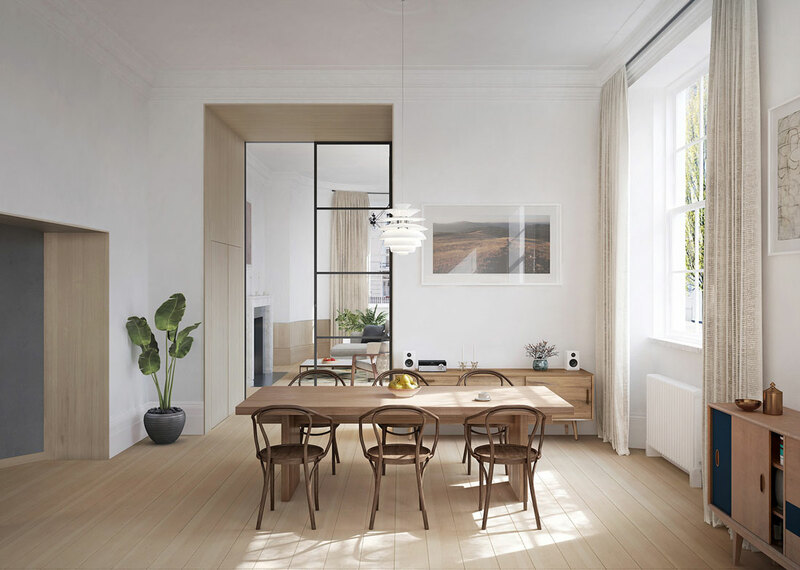 A carefully planned new arrangement which limits the number of major structural alterations, whilst providing extraordinary spaces for contemporary living. Previous major alterations of these lower levels of the existing building led to an unusual set of spaces to work from — it was previously used as a bank since the 1920s, and had undergone repair after damage from bombing in 1940. 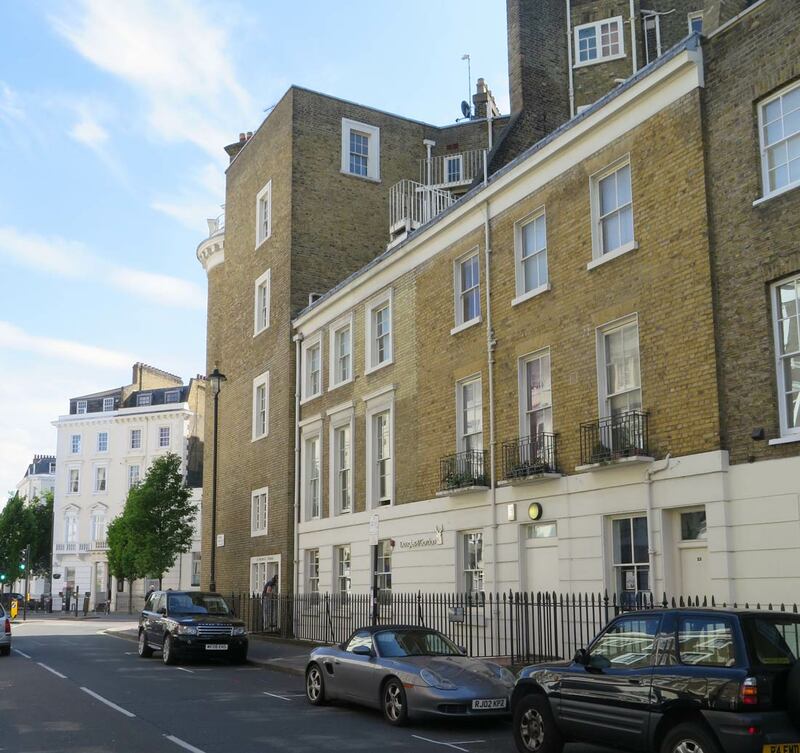 Cooke Fawcett Architects coordinated the process of applying for planning and listed building consents, which were granted in November 2016. A contractor has been appointed and works began on site began on site in mid-2017.